Attention: These cookies taste like french toast, but they also taste just like a brown sugar cinnamon Pop Tart. In other words, childhood, reclaimed! The initial idea was to make a french toast cookie, and I think I achieved that. 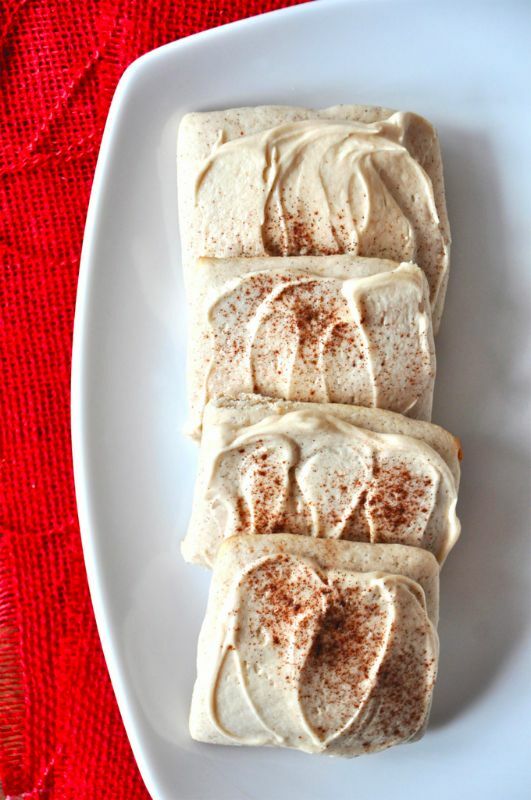 Cinnamon cookie + maple buttercream frosting = edible gold. But I also think I figured out a much less tedious way to make homemade Pop Tarts. Exciting, right?! I mean…come on. 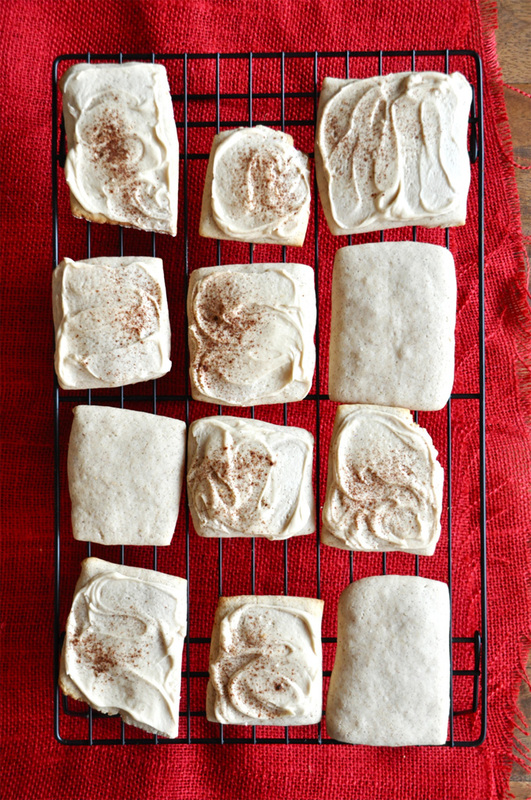 I can't decide if these taste more like french toast or a brown sugar cinnamon Pop-Tart! Either way, these sugar cookies are fabulous and a total hit with my family and friends. Enjoy! Cream sugar and butter with mixer; add egg and beat until combined. Add dry ingredients to a sifter. Alternate adding milk and dry ingredients to the butter mixture while mixing. Then add vanilla and stir. Chill for 30 minutes before rolling out. Roll out on floured surface, cut into squares and bake at 375 degrees for 10-11 minutes, being careful not to over-bake. To make the frosting, cream softened butter with 1 cup of the powdered sugar and then slowly add in the rest. Add maple extract (I used 3 tsp) and milk, and stir. The consistency you’re looking for is thick and spreadable; not runny. 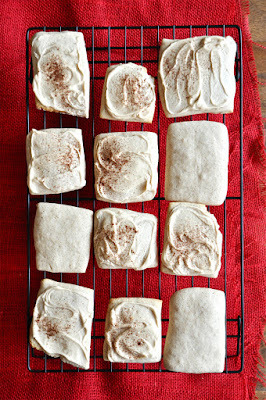 Frost cookies, sprinkle with cinnamon and enjoy! Store in an air-tight container at room temperature to keep fresh for at least 3 days. 0 Response to "FRENCH TOAST SUGAR COOKIES"